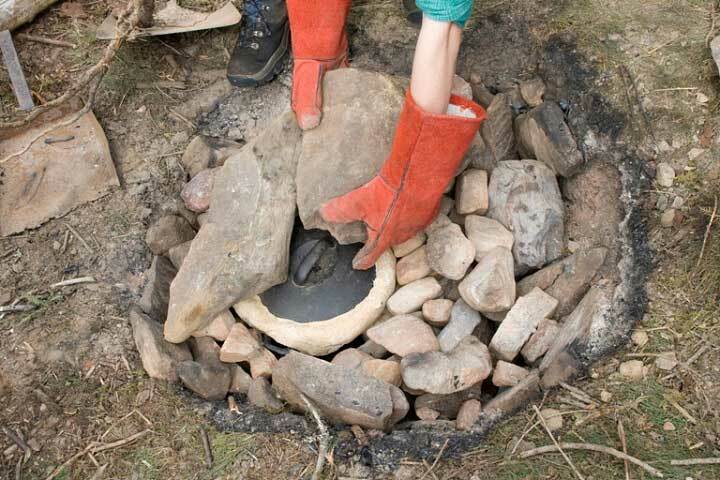 Build a pit oven, forage for greens and bake bread outdoors. If you enjoy being experimental with your cookery and love the outdoors you will enjoy our wild cookery weekend. 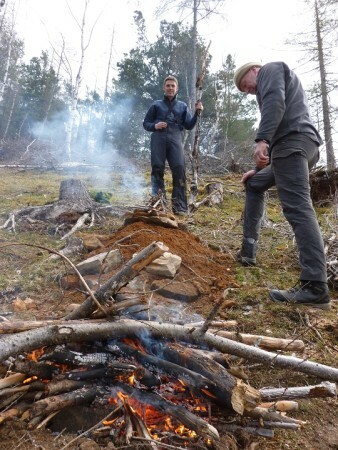 Alex and I both studied archaeology and have always had a passion for wild food and prehistoric cookery. Over the weekend we will experiment with ancient ways of cooking. You will forage for greens during the day, cook a wild lunch and prepare an evening feast on Saturday night. Cookery techniques include fire side cookery, hot stones and pit cooking. The latter is a fantastic technique for cooking meat or slow stews. Two fires are lit, one in a stone lined pit and the other on a pile of smaller stones, the food is prepared in a cast iron dish or wrapped in dough and, once the fires have died down, placed in the pit and covered with the smaller hot stones and then earth or sods of turf. After about 4 hours you have the novel experience of digging up your deliciously slow cooked feast! You can also try outdoor bread baking and preparing clay baked fish. If you would like to find out more please have a look at our blog. Courses run from April through to October. Day courses start at 10am and finish about 7pm, £75 per adult and £35 for under 16. All weekend courses are run from Saturday 10am – Sunday 4pm and include lunch on Saturday, a fireside supper on Saturday night and lunch on Sunday. You can choose to stay in a local B&B (we can recommend some great ones), there is also very good camp site in Cannich or you can choose to stay in the woods in our yurt. If we don’t have any dates which suit you, please let us know and we can arrange a workshop just for you if there are 4 or more people.